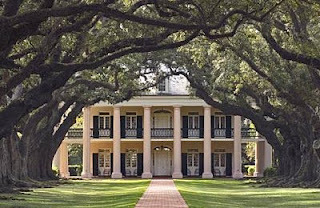 Most people probably recognize Oak Alley Plantation in Vacherie, Louisiana, as the macabre home of Louis du Pointe du Lac in the film Interview with the Vampire. When I was younger, I remember seeing that film for the first time and thinking it was too beautiful to be real. 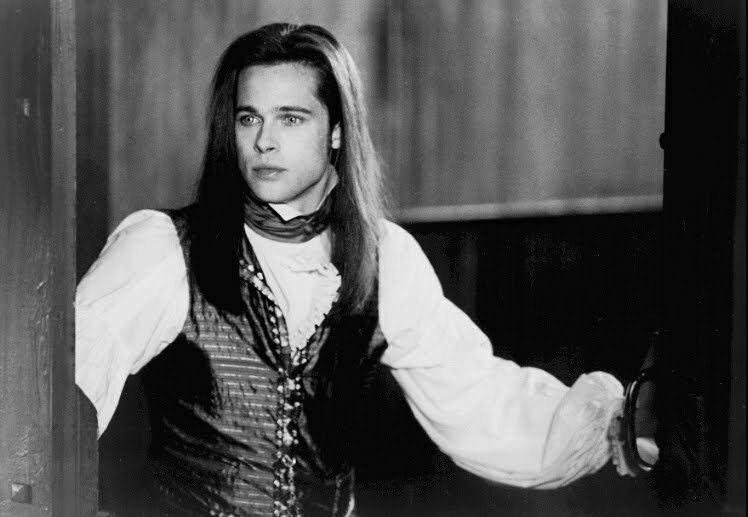 It had to have been a creation of the set designers to fulfill the image that Anne Rice created of Louis and Lestat’s time together on that old eighteenth century plantation. Let’s all take a moment to appreciate Brad Pitt before he got saddled with fourteen kids and Vampiria for a life partner (tongue firmly planted in cheek!). Still with me? Don’t forget to breathe. There you go. In, out, in, out. Good. On with my story…. Many years later, I found out that the “Pointe du Lac” plantation was not just a place created for a vampire movie. The plantation was real and it had a few ghost stories of its own worthy of Hollywood. In the earliest days of Louisiana, a man planted two rows of oak trees that led to the Mississippi River. The land changed hands several times over the years until the Roman family purchased it and began building the plantation house in 1837. The Romans came to Louisiana from old French nobility and became very prominent people in the Creole community. Creoles were people born in Louisiana to European parents and they generally looked down on Americans, thinking they had no manners or decorum, and these Creoles tended to stick to each other. They were rather strict with their society rules. It is said the main source of the ghostly activity at Oak Alley came from these strict Creole society rules. A girl by the name of Louise Roman grew up on the plantation and she was every bit the proper Creole girl who wanted a good Creole husband. One night, a suitor came to call on her but he’d enjoyed too much alcohol before he got there and his drunken condition deeply offended her. There are a couple of versions of this story but she either ordered him out of the house and turned to run back upstairs, or the drunken suitor attempted to kiss her and she turned to run back upstairs. A terrible accident happened. Louise tripped on her long dress on the way up the stairs and either suffered a compound leg fracture or the iron hoops under her skirt left a huge laceration on her leg (that part of the story varies too). She was taken to bed and eventually gangrene set in on her leg and it had to be amputated. After that, she considered herself damaged goods and was so scarred by the accident that she left Oak Alley to become a nun in St. Louis. Upon closing the house one evening following a private function, Denise Becnel, assistant house manger, her daughter, Kaysha and tour guides Connie Donadieu and Billie Jo Bourgeois, were surprised to notice that the lamp in what is referred to as the lavender room was still on. The four ladies each remembered clearly that all but security system illumination had been turned off prior to their leaving the house and heading toward the parking lot. As they stood looking up in bewilderment at the light shining from the lavender room windows, they saw the shadowy figure of a lady closely resembling photos they had often seen of Mrs. Stewart, last resident owner of Oak Alley, gazing down at them from her pleasant bedroom lookout. Denise had no more asked, “What’s that?”, when the upstairs gallery lamps blinked once. That was enough! All four took off toward their cars and lost no time in exiting the plantation grounds. Not until they were passing by the alley on River Road did they look at the house and saw to their amazement that all windows were dark and everything was as it should be. Juliette Temple, tour guide, saw a figure seated on one of the beds in the lavender room and, on another occasion, had an encounter in the kitchen area with a ghostly man in gray wearing boots. Helen Dumas and Theresa Harrison, tour guides and family retainers for many years, claimed they often felt and heard “things,” not the least of which was the sight of billowing dust and the clear sound of a horse drawn carriage driving up one of the plantation gravel roads, but nothing ever materialized. Louise Borne, office worker, claimed to have seen empty chairs rocking in unison, things moved from table and desk tops, and both she and Peggy Rodrigue, tour guide and restaurant assistant, attest to the phenomena of the clip-clop of an invisible horse drawn carriage, and the sound of crying from somewhere in the mansion. Then there was the time that a candlestick flew across the room during a tour conducted by guide, “Petesy” Dugas. This baffling occurrence was witnessed by some 35 Gray Line bus passengers who were visiting Oak Alley. This is a video someone put together of the tour the plantation gives. You can see the staircase where Louise Roman fell when the people are all going upstairs and then again where the tour guide talks about the meaning of pineapples to nineteenth century planter etiquette. Please ignore the awful costumes the tour guides are wearing. They are not at all accurate for the nineteenth century period! The tour guide also sounds a little robotic to me too but Oak Alley has so much tourist traffic that the guides must work very hard. >The tour guide has given all the necessary information for that home. That is amazing that for me also seems to be in robotic manner. the guide when I visited just said insurance co. would not let the baby’s room on 3rd floor be seen. I had heard a tourist fainted when entering the room. An evil presence was strong!